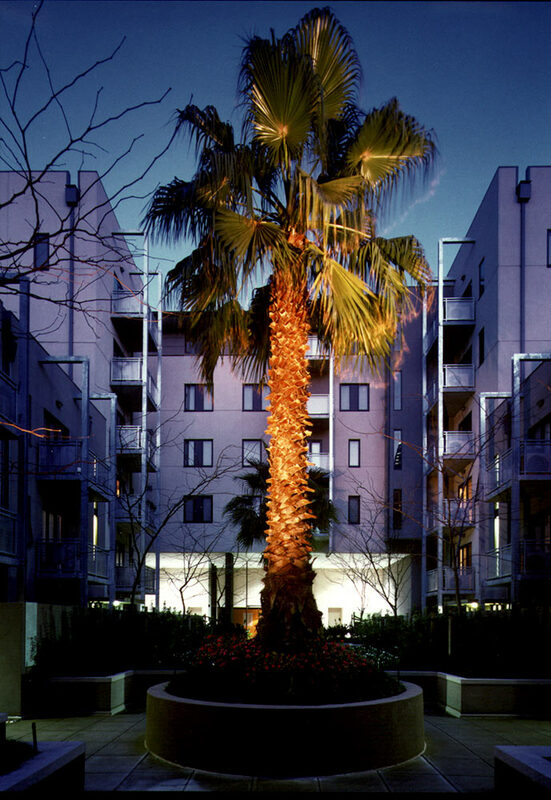 Heralding the revival of Melbourne’s inner city housing supply, Riverside was one of the earliest residential developments within the Southbank precinct. 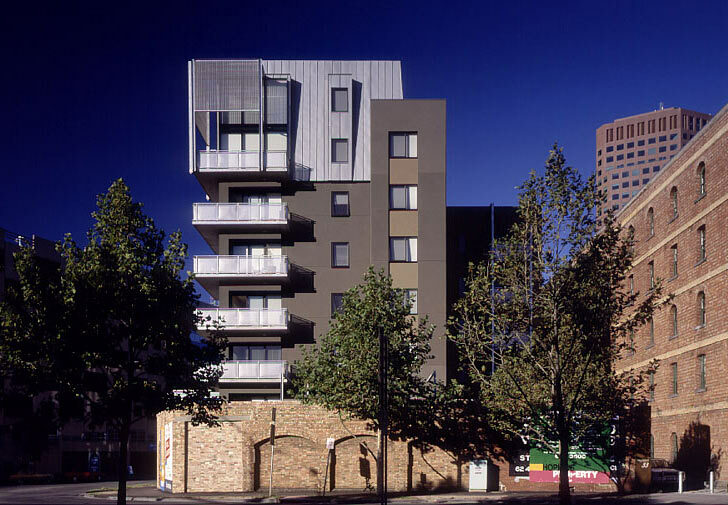 Responding to a need for housing for smaller households, the development comprises apartments in two medium rise towers located on either side of the historic Jones Bond Store. The diversity of dwelling types includes warehouse, one, two and three bedroom apartments. Originally a warehouse for the shipping industry, the Bond Store – a Heritage Victoria listed building built in 1888 – was refurbished to accommodate the main entry, a cafe, gymnasium and swimming pool, with apartments in the upper floors. At a height of eight levels, the project now appears very modest in scale against the backdrop of the 300m Eureka Tower (completed 2006)- a testament to two decades of rapid change in Southbank, one of the fastest growing precincts in the City of Melbourne.